Bathurst 12 Hours: the best GT race in the world? The annual 12-hour endurance race at the legendary Mount Panorama circuit lived up to annual expectations by delivering another belter. Now run for GT3 cars, the Bathurst 12 Hours again pitted Audi R8 LMS, Bentley Continental GT3, Ferrari 458 Italia, Lamborghini Gallardo R, McLaren 650S, Mercedes SLS AMG, Nissan GT-R and Porsche 911 GT3 machinery against each other, with the outcome once more settled by a few feet. The Tekno Autosports McLaren of V8 Supercar stars Shane van Gisbergen and team principal/driver Jonathon Webb, who teamed up with Portuguese ace Alvaro Parente, edged out the 2015-winning Nissan of Katsumasa Chiyo and Florian Strauss, this year joined by another V8 Supercar top name – and two-time Bathurst 1000 winner – Rick Kelly, by just over a second in a thrilling climax to the event. McLaren’s first win at Bathurst means a fifth different manufacturer has now conquered The Mountain in as many years. The all-British Bentley crew of Matt Bell, Steven Kane and Guy Smith completed the podium. With hordes of quick cars and pro teams and drivers, not to mention one of the greatest racetracks in the world, the Bathurst 12 Hours, which first ran in 1991 and since 2011 has catered solely for GT cars, has earned its status as one of sportscar racing’s classics. Briton Sam Bird took his third victory in the FIA Formula E Championship after holding off series leader Sébastien Buemi on the streets of Buenos Aires. The 29-year-old, who won the electric single-seater series’ second race – in Malaysia at the end of 2014 – and one of two races in London’s Battersea Park at the end of last year, took his Virgin Racing car to a 0.7s victory over the e.dams car of Buemi, the Swiss driver having fought back from last on the grid after a qualifying spin. He charged through the field but couldn’t find a way past Bird, who’d started from pole for the fourth round of this year’s championship. Former Toyota World Endurance Champion Buemi takes a four-point lead over Brazilian Lucas di Grassi, who finished third in Argentina, to the next round in Mexico City on March 12. Sportscar racing fans can’t have failed to notice the much-vaunted return of Ford to the GT-racing ranks. 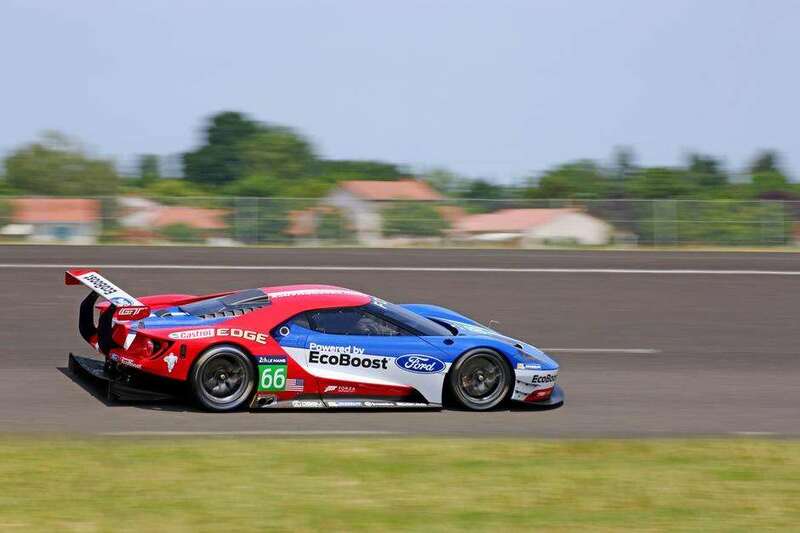 The Blue Oval has committed to a two-car attack on the WeatherTech IMSA series in America, as well as running a brace of the all-new Ford GTs in the World Endurance Championship with Chip Ganassi Racing. Now, however, comes news that all four cars will compete in the big one: the Le Mans 24 Hours. Ford had been pinning its hopes on gaining entries for all four cars, with the race organiser, the Automobile Club de l’Ouest, granting its wish during the recent announcement about which cars had filled the coveted 60 places on the grid for the world’s greatest motor race. Ford has made a fuss about the 50th anniversary of its first outright win at Le Mans, with the Chris Amon/Bruce McLaren GT40 in 1966, and that heritage will be further enhanced at La Sarthe when the cars run numbers 66, 67, 68 and 69 in June in commemoration of four consecutive wins, courtesy of Amon/McLaren, AJ Foyt/Dan Gurney in ’67, Pedro Rodriguez/Lucien Bianchi in ’68 and Jacky Ickx/Jackie Oliver in ’69. The hunt is now on to find four more drivers (one extra in each car as Le Mans regulations stipulate a crew of three) to join IMSA quartet Ryan Briscoe, Joey Hand, Dirk Muller and Richard Westbrook and WEC foursome Marino Franchitti, Stefan Mücke, Olivier Pla and Andy Priaulx. Japanese giant Toyota returns to World Rally competition in a factory capacity in 2017, marking the first time it has appeared in rallying’s premier league since it left with the manufacturers’ title in the bag at the end of 1999. One of the problems Toyota faces when it pitches its Yaris WRC kit against the tried-and-tested muscle from Volkswagen, Hyundai, Citroen and Ford is a shortage of top-line drivers. And that little dilemma has moved team principal Tommi Makinen, a four-time world champion for Mitsubishi in the 1990s, to reveal that he’s looking at hiring a couple of ‘retired’ superstars to come out and play. And he’s dropped the names of Sébastien Loeb and Petter Solberg into the mix! 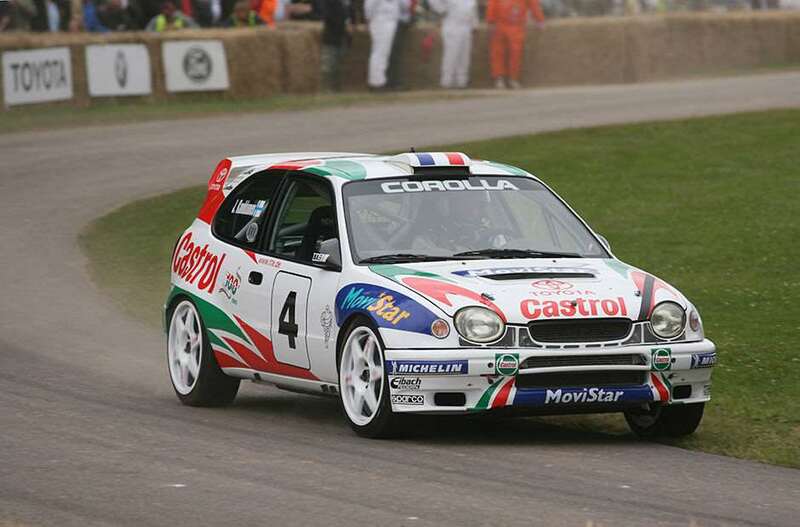 Of course, this might just be a PR masterstroke by Toyota, but wouldn’t it be mega to have Loeb, rallying’s greatest driver, and Solberg, its most charismatic and popular, back in the sport – even if it was for one year while two contemporary stars are talked out of any current contracts.